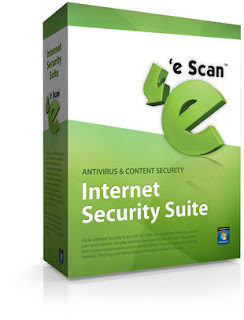 Scan Internet Security 2011 features a refreshed UI that makes navigation a lot easier. System protection is divided into six categories - fi le protection, mail protection, anti-spam module, web protection, endpoint security and privacy control. However, compared to other well known security suites, there’s is still work to be done in terms of usability and visual appeal. These allow you to deny execution of executables from network and USB drives. You can also prevent users from modifying or deleting files and folders. The Web protection filter lets you block explicit words and adult content, and set time restrictions. However, the time restriction feature isn’t well implemented as timings need to be manually fed in. Configuring the firewall is simple, but at times, legitimate programs such as ‘googleupdate.exe’ were blocked. This needed to be manually resolved. The endpoint security is what sets eScan apart. Here, you can restrict access to USB ports via password protection, read-only mode, and creating a device white-list. eScan Internet Security 2011 is an improvement, but still not good enough to challenge the best in the category.It costs about 1,500INR and it's good for this price.